Nothing is an awe-inspiring yet essentially undigested concept, highly esteemed by writers of a mystical or existential tendency, but by most others regarded with anxiety, nausea and panic. Nobody seems to know how to deal with it (he would, of course), and plain persons generally are reported to have little difficulty in saying, seeing, hearing, and doing nothing. . . . Ever since Parmenides laid it down that it is impossible to speak of what is not, broke his own rule in the act of stating it, and deduced himself into a world where all that ever happened was nothing, the impression has persisted that the narrow line between sense and nonsense on this subject is a difficult one to tread and that altogether the less said of it the better. . . . Writers to whom nothing is sacred, and who accordingly stop thereat, have no occasion for surprise on finding, at the end of their operations, that nothing is all they have left. My own experience of trying to extract significance from silence began as a child attending silent Quaker meetings. The idea, as I understood it, was that it is idolatry to suppose that the reality of God could be captured or expressed in earthly doctrines and rituals. So we set aside all physical aspects of baptism and communion in favor of the spiritual realities behind them. We stripped our buildings of stained glass and other forms of iconography. We banished music and song, along with the spoken liturgy and the preachers’ sermons. We adopted a silent unprogrammed meeting to allow “the inner light,” the spiritual reality of God within each one of us, to express itself. Speak when the spirit moves you, they said. I was fine with this. Silence was cool. My scruples arose when someone around me would dare to speak. The words, and the thoughts behind them, seemed too familiar. They seemed to merely reflect the interests and understanding of the speaker. Instead of a revelation about the spiritual reality of God, I simply heard the characteristic and mundane words of Elsie or Tom. Of course the ineffable may have been there all along, behind the mundane words of Elsie and Tom, as well as in the silence before. Maybe I was not properly attuned and just missed it, but I gradually found myself less and less interested in a revelation from beyond and more and more interested in the characteristic and mun­dane words of Elsie and Tom. Thus the aim of the book is to draw a limit to thought, or rather — not to thought, but to the expression of thoughts: for in order to be able to draw a limit to thought, we should have to find both sides of the limit thinkable (i.e. we should have to be able to think what cannot be thought). . .It will therefore only be in language that the limit can be drawn, and what lies on the other side of the limit will simply be nonsense. My whole tendency and, I believe, the tendency of all men who ever tried to write or talk Ethics or Religion was to run against the boundaries of language. This running against the walls of our cage is perfectly, absolutely hopeless. Ethics so far as it springs from the desire to say something about the ultimate meaning of life, the absolute good, the absolute valuable, can be no science. What it says does not add to our knowledge in any sense. But it is a document of a tendency in the human mind which I personally cannot help respecting deeply and I would not for my life ridicule it. Until the final sentence, Wittgenstein could have been mistaken for a logical positivist separating sense from nonsense and sharing Freud’s antipathy toward religion. Indeed, the Vienna Circle interpreted Wittgenstein’s early work as the charter document for their movement, until they prevailed on him to come speak to their group and explain some of the more difficult points in his theory of representation. When he finally came, instead of answering their questions about his book, he sat facing away from them reading Tagore, the Indian poet, for over an hour and then got up and silently left the room. Afterward Carnap remarked to Schlick, “I guess he is not one of us.” While Wittgenstein sought to draw a sharp and clear line between sense and nonsense, unlike the positivists he valued what couldn’t be said. 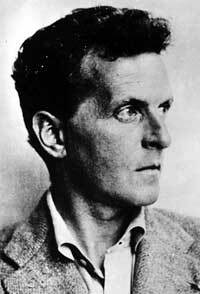 When writing to a prospective publisher about the Tractatus, his cryptic and highly technical theory of meaning and representation, Wittgenstein claimed that it was “an ethical work.” He also claimed that there were two parts, the written and the unwritten, and that it was the unwritten part which was important. Not surprisingly the publisher rejected the manuscript. To bring out the difference in attitude Freud and Wittgenstein have toward the unspeakable, I will suggest that Wittgenstein’s philosophical therapy is better under­stood as “confession” than as a kind of psycho­therapy. I want to make three points about the significance of confession for Wittgenstein’s philosophy. First, the philo­sophical writings of Wittgenstein can be called “confessional” insofar as they are products of his life-long efforts to acknowledge the limits of language, and hence of thought, from the inside, and thereby to avoid the performative contraditions discussed earlier. In other words, he is not writing apologetically, giving arguments which might persuade outsiders who do not already agree with him. Second, if confessions are for insiders and are about something fundamental, they must not be designed to address our understanding but our will. We are tempted to say more than what can be said, and Wittgenstein’s writings are reminders, for himself and for us, meant to fortify our wills against these temptations. Third, the religious overtones are relevant since the therapeutic purpose of confession, for Wittgenstein, is not merely a matter of being at peace with oneself, as in psychotherapy. It involves, rather, being at peace with the limits of our world, a goal Wittgenstein likens to when St. Augustine strives to align his will with the will of God. Confession can best be understood in contrast with apologetics. In an apology, or more colloquially, a defense, we are speaking to outsiders who may contest the views being expressed. Hence in an apology we are obliged to give reasons and make arguments for our views. The aim is to justify ourselves and to persuade outsiders who do not yet share our beliefs of the truth or goodness of these beliefs. This is what traditional philosophy, theological apologetics and empirical science have in common. Wittgenstein’s concern with these activities is that they limit us to contingent and trivial matters: “In giving explanations I already have to use language full-blown (not some sort of preparatory, provisional one); this by itself shews that I can adduce only exterior facts about language” [PI 120]. It was true to say that our considerations could not be scientific ones. It was not of any possible interest to us to find out empirically ‘that, contrary to our preconceived ideas, it is possible to think such-and-such’-whatever that may mean. . . And we may not advance any kind of theory. There must not be anything hypothetical in our considerations. We must do away with all explanation and description alone must take its place. And this description gets its light, that is to say its purpose, from the philosophical problems. These are, of course, not empirical problems; they are solved, rather, by looking into the workings of our language, and that in such a way as to make us recognize those workings: in despite of an urge to misunderstand them. The problems are solved, not by giving new information, but by arranging what we have always known. [PI 109]. Unlike a pragmatist, Wittgenstein does not see himself as a member of a community of inquirers who are adding to our knowledge. He sees himself as a confessant reminding himself and others of internal matters which should go without saying. If we can persuade outsiders of the truth of our beliefs that can only be due to the fact that they were not really outside at all but already shared something fundamental and necessary to the dispute. This is precisely what he meant by the puzzling remark, “If one tried to advance theses in philosophy, it would never be possible to debate them, because everyone would agree to them” [PI #128]. And if we were to differ about fundamental and necessary things, apology would be useless since arguments and reasons could be of no avail. This is the point of Wittgenstein’s colorful example given in remark #257 of On Certainty. As Wittgenstein later states, “There is something universal here; not just something personal” [OC #440]. Even though confessions are performative, and can only be done in the first person, they are about something of universal and necessary significance for a community. They do not point out new and contingent information but remind us of something necessary, something “internal,” that we already share. Confessional structures can be found in each of the kinds of “showing” Wittgenstein employs, including the form of objects, pictures, logical forms, logical pseudo-propositions [tautologies] and the elucidations constituting the Tractatus itself, as well as grammatical forms in the Investigations and Moore-type propositions in On Certainty. To see “showing” as confessional is to emphasize that it indicates the essential nature of something, sorts out what is necessary and “internal” from what is contingent and “external,” and approaches these issues from the inside. From his earliest to his latest writings, Wittgenstein rejects the relevance of “hypothetical” considerations. When he writes in the notebooks, “Remember that there are no hypothetical internal relations” [25.10.14], or in the Investigations, “there must not be anything hypothetical in our considerations,” he underscores the need to take an inside or “confessional” approach to logical or grammatical form. The danger in a long foreword is that the spirit of a book has to be evident in the book itself and cannot be described. For if a book has been written for just a few readers that will be clear just from the fact that only a few people understand it. The book must automatically separate those who understand it from those who do not. Even the foreword is written just for those who understand the book. Wittgenstein could hardly make a more emphatic statement of his rejection of apologetics as a genre. To try to explain and to justify logical or grammatical form is disingenuous, since such efforts would have to presuppose a fundamental agreement on these very questions. The pretense of explaining or justifying would thereby create a duplicity of will. This leads to the second major point, that the problem Wittgenstein seeks to address is a problem of the will and not of the understanding. If philosophy is for insiders, and is about what everyone already knows, this raises the obvious question, why bother? St. Augustine faces the same question in his Confessions: why tell God what God already knows? What is the point? It cannot be to inform God of anything. Rather, confession must be for the sake of Augustine, the confessant. In this vein, following St. Augustine, Wittgenstein confesses in order to address a problem of the will. In 1931 Wittgenstein writes, “the very things which are most obvious may become the hardest of all to understand. What has to be overcome is a difficulty having to do with the will, rather than with the intellect” [CV p. 17]. Anthony Kenny suggests that for Wittgenstein grammatical confusions infest the world like “original sin” and that the proper purpose of philosophy is to fortify the will “to resist certain temptations.” In this sense the confessional nature of philosophy is meant to address a problem of will rather than of understanding. I would like to say, ‘This book is written to the glory of God,’ but nowadays that would be chicanery, that is, it would not be rightly understood. It means the book is written in good will, and so far as it is not so written, but out of vanity, etc., the author would wish to see it condemned. He cannot free it of these impurities further than he himself is free of them. Philosophical Investigations, trans. G.E.M. Anscombe, 3rd ed., Macmillan, 1958. Tractatus Logico-Philosophicus, trans. Pears & McGuinness, 2nd ed., Routledge, 2001. On Certainty, ed. Anscombe & Wright, Wiley-Blackwell, 1991. Culture and Value, trans. Peter Winch, University of Chicago, 1984. Notebooks: 1914-1916, ed G.H. von Wright & G.E.M. Anscombe, 2nd ed. University of Chicago, 1979. Thank you very much! Well written! Can you tell me where you sourced this information? Would love a citation that I could follow up. I remember Stephen Toulmin used to quote this remark, but I can’t locate the source of his precise words in the written accounts I have checked. It is possible it is from an account Toulmin received orally. He referenced the Tagore incident on page 215 of _Wittgenstein’s Vienna_ (New York: Simon and Schuster, 1973), and the Monk biography _Ludwig Wittgenstein: The Duty of Genius_ (Penguin, 1990) discusses the episode at some length beginning on page 243, but again without mentioning the remark attributed to Carnap above. excellent work and so pleasurable to read. Thank you..